Medford Company Store | Mount Laurel, NJ Estate Sale. 9/8 Only! Eclectic Treasure Trove - One Day Only! Mount Laurel, NJ Estate Sale. 9/8 Only! This home offers some exquisite yet affordable furnishings and art. 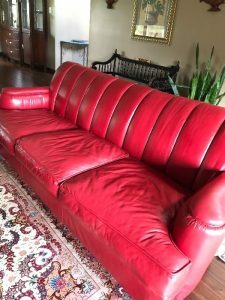 The all leather red sofa and chair speak for themselves – barely used. A lovely contemporary style dining table with 2 leaves, 6 chairs and a lighted china cabinet with lots of storage , a beautiful king size bed and dresser, widescreen TVs, double beds, cabinets, lighting, stunning Persian rugs and other rugs, Persian decorative pillows and exotic wall art, authentic brass Samovar Tea service and a miniature set, beautiful hookah pipes, restaurant food truck equipment, ice cream freezer, hot dog griller and warming lamps, steak house knives, storage containers, lumber, interior flooring, ladder, motorcycle helmet, boots, gloves, jacket and 2 pair of pants ( winter and summer) movie theater posters, razor gaming headphones and keyboards. Please be prepared with a truck if you plan to purchase furniture. This is a one day sale. Tickets distributed ONE HOUR PRIOR TO OPENING. Cash preferred- $25+ tax min for CC – no checks, ever. ALL SALE ARE FINAL – merchandise is offered “as is, where it is”. Please be prepared to remove and transport your purchases on the day of the sale. We do NOT provide porters or delivery services. We are not responsible for accidents. Please don’t block driveways or mailboxes in the neighborhood. Haddonfield, NJ Estate Sale. 4/20 Only! Medford Lakes, NJ Estate Sale. 3/23 Only! Mt. Holly, NJ Estate Sale. 3/9 Only! Lakewood, NJ Estate Sale. 2/23 Only! We're having fun on Facebook! Like us to see frequent pics from estate sales and new goods in the store. Follow us on Twitter and Instagram too! © 2015, Medford Company Store.